Wonderful set of espresso cups. 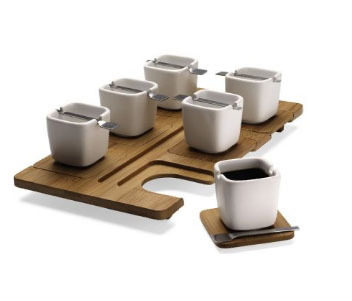 Bamboo tray with inset saucers, & demitasse spoons resting across the tops of sleek squared-off porcelain cups. Next Next post: To Slick or Not Too Slick?